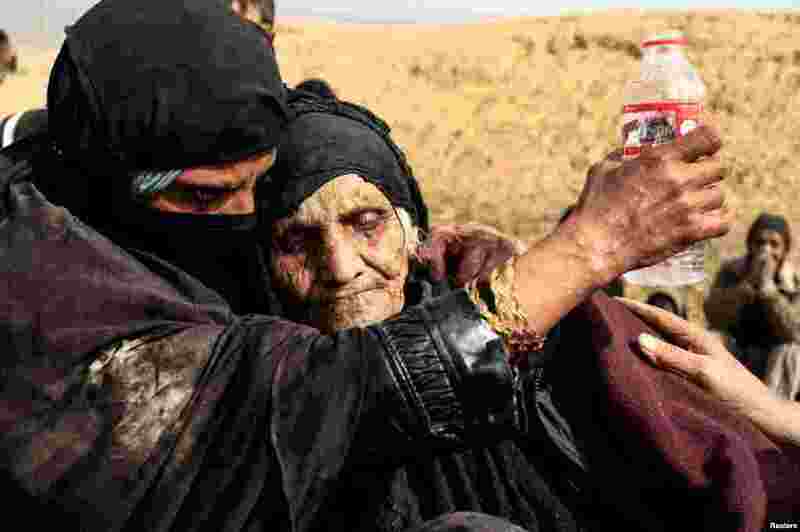 1 Displaced Iraqi women who just fled their home, rest in the desert as they wait to be transported while Iraqi forces battle with Islamic State militants in western Mosul. 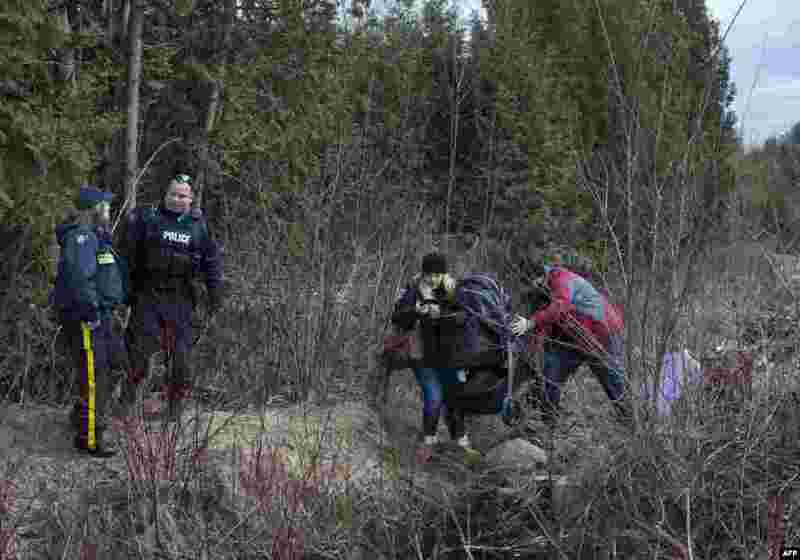 2 A couple who claimed to be from Turkey struggles to get their baby and baby carriage across the U.S.-Canada border in Champlain, New York. 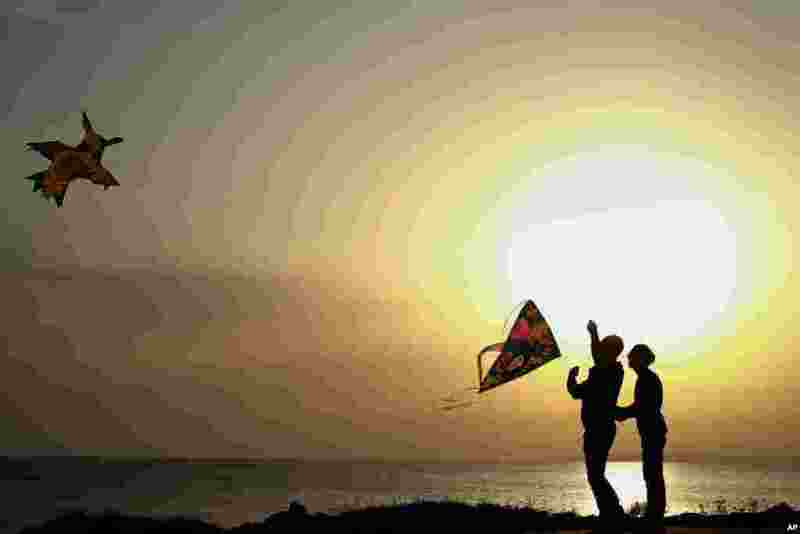 3 Men fly their kites during celebrations of the Orthodox Clean Monday in Ayia Napa, Cyprus. 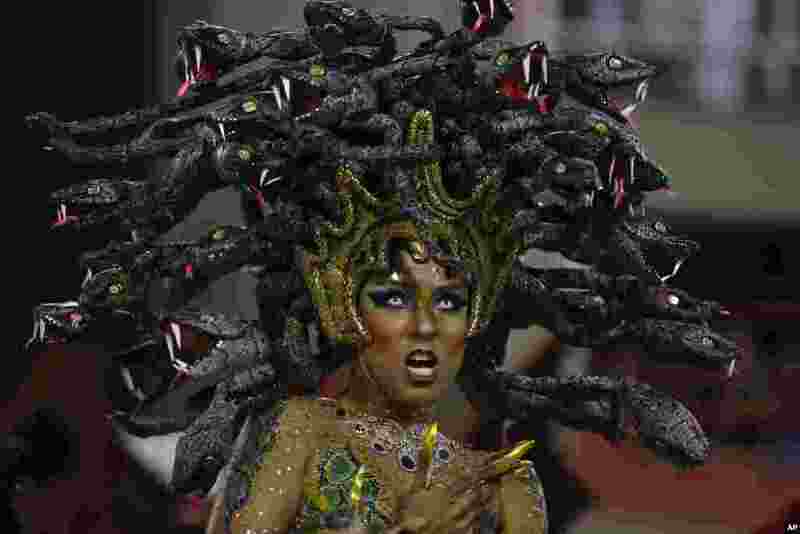 4 A performer from the Salgueiro samba school parades during Carnival celebrations at the Sambadrome in Rio de Janeiro, Brazil.